I'm giving my nails a break this week in prep for some acrylics I'm doing soon. 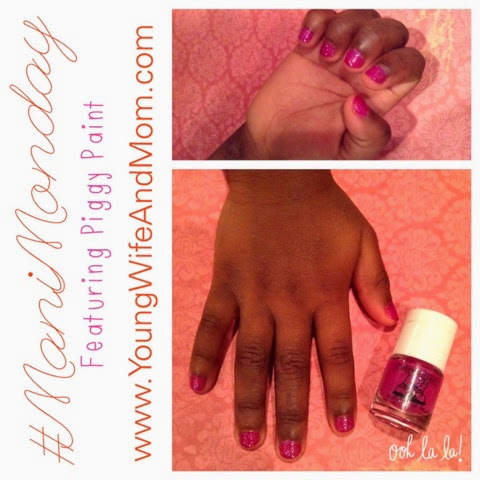 Today's nails are Princess A's featuring Piggy Polish in a glittery fuchsia. She'd been begging for literally a week for me to paint them. Guess who is a happy girl today? !